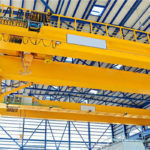 The overhead crane is generally composed of the bridge, the trolley travelling mechanism, and the lifting mechanism which equips with the crab mechanism, a control room, and an electrical system. 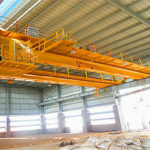 According to the structure form of overhead crane, it is divided into the single girder model and double girder model. 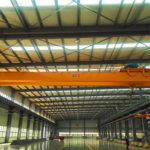 As the leading manufacturer and supplier in construction machinery in China, we make the customers and the crane quality first. 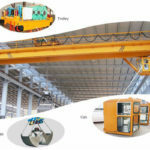 In order to meet demands of the lifting equipment market, on the basic of the single beam or double beam, Weihua designs a variety of types of overhead travelling crane. 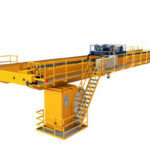 No matter what you choose the single girder or double girder, these products have high quality with low noise, delicate operation, beautiful exterior, novel structure, safety and reliability. There are many operation methods such as drivers’ controlling room, wired operation, wireless operation and other operation types. 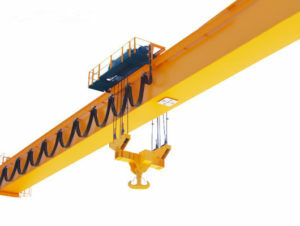 The cab operation is a way for the crane driver who operates the lifting equipment through the handle, buttons, etc. in the operation process. The wired and wireless operation are achieved through a limited or wireless handle. 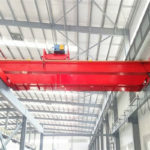 The driver’s cab is also called the controlling room and cab, and there are control devices of crab travelling and trolley travelling mechanisms, lifting mechanisms, and protection devices for overhead travelling cranes. 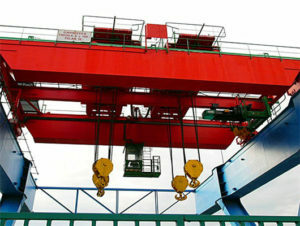 The driver’s cab is generally fixed at one end of the main beam, and a few are installed under the trolley which move with the trolley or in the center of the main beam. 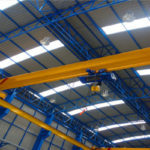 If you want to purchase other types’ overhead lifting crane by girders, we can provide you with specially customizing the high standard overhead crane. 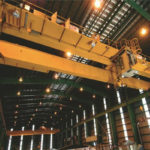 If you have any need, you can get in touch with us.